I've invited Pablo "Cazorla" to join me here at the Garage. He'll be able to put a little more "garage" in the Garage with his strong knowledge of the 1964-1967 prime of punky garage rock. Plus his first language is Spanish, so we'll have a little more linguistic variety for the international group that frequents this site. Please welcome him! Oh geez. Folks are already asking me for more recordings. These might not make you want more, but we'll see. These tracks were recorded in Utsunomiya, Japan three years ago as I was getting myself familiar with my recording programs and having something of a creative splurge. In short, these songs are somewhat stranger and a little more low-fi than the Holographic Universe album. While I was recording these songs, I pretty much threw my self-consciousness out the window. Sometimes this was probably a plus, but there are plenty of bad lyrics and strange utterances hanging around here too. "Behind The Curtain" is my attempt to combine the worst of the 60's with the worst of the 80's, while "Reduced To Dust" was written on the job and drunkenly recorded that very same night. Meanwhile, I've always thought "Too Much Action" sounds too much like a pick-up truck commercial. Most of the guitar parts were recorded on a shiny gold sparkle Silvertone guitar as my Telecaster was in the States at the time. Even more disturbingly, I didn't have a proper bass at the time so all the bass is MicroKorg or the Silvertone heavily re-equalized! I don't know; make of this what you will, but please listen to this after you've taken in my more recent recordings. For you bloggers out there, I'm not sending this one out or promoting it, but you're welcome to repost on your sites if you want. This is an album masterminded by the blogger behind George De Large's Music To Take Drugs To. He's recently released this fine album which dives deep into the world of shoegaze and brit pop. I think the name of his blog probably helps one to understand the vibe of this particular disc, and it's a pretty high quality release. Starting off with the more negative comments, I think this album is slightly shortchanged by the sequencing. There are some fine wispy, heavily reverbed acoustic-based tracks on the first half of the album that are pleasant enough, but I didn't really sit up and take notice until the seventh track. "Into Her Eyes" is a short overture into the really impressive part of the album. With "Deepest Skies I" the beat picks up a little bit, the vocals suddenly seem more assured, and the swirly sorts of sounds that I love enter the picture. Kid's Garden starts cultivating a sound that recalls the majesty of A Storm In Heaven-era Verve while applying some Slowdive-like textures. The song suite of "Further (On And On)," "Lost Inside You," and "1995" make up the sonically expansive centerpiece of the album. After the title tracks gives us a great brit-pop song with a mild Manchester beat, "Lost Inside You" plunges us into a well of reflective sound, finally reaching the bright coda of "1995." It's a nice sonic journey. Further is a fine release which would be a fine contender to help spearhead the wave of online music that Radiohead attempted to start last year. Give it a listen and then head over to George's blog to tell him what you think. It's an interactive world now. This is damn good stuff. Although El Guincho is a psychedelic obscurity in the here and now, he may very well not be by the end of this year. 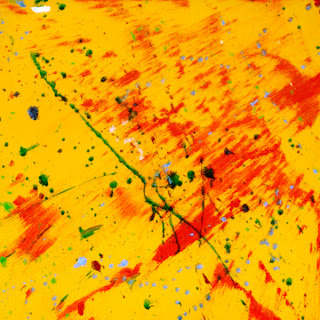 The sound of this album is very much analogous to Animal Collective, and specifically Panda Bear's Person Pitch, but there's a great tropical percussiveness that brings something new to the table. While I'm reluctant to say this is as good as the already classic Person Pitch, it definitely comes within spitting distance, and that's an enviable accomplishment. At least I liked it enough to pre-order a copy for my dad. El Guincho tends to build his tracks off of a rhythmic base, and builds on top of that with a few samples and repetitive in a trance-like way vocals. I believe the man is from the Canary Islands, but I feel like I'm attending a psychedelic carnivale when listening to this one. Some of my favorite tracks here include "Antillas," which features guitars that seem to cross reference some of the guitar sound of African pop (especially the stuff I've heard from Mali). "Kalise" is a energetic conga line taking place after a few too many tequila sunrises that may have been spiked with ayahuasca. "Buenos Matrimonios Ahi A Fuera" has chanting vocals thrust through a prism of electronically dismantled organic percussion, while "Polca Mazurca" is a nice closer that sounds like the island bar closing at, oh, 11am. I found this at the wonderful blog "My Inland Empire" where they stated that listening to this now could very well get you an early seat on the 'cool kids' bandwagon. Even if this one never catches the ears of the indie kids, you need it to catch yours. A few months back I posted some of my own music. The links for some reason ended up deleted, but let's try this again as I want you to hear it. If you downloaded it the first time, this one does have a very different track listing, so you might want to do it again (unless, of course, you hated it). There's a lot a debate concerning the legality of downloaded music on music blogs. My position is that I try to keep links for recent releases off of my site as those artists are on the frontline of the market, and do deserve some income for their recording troubles. For older albums, it certainly is a gray area, but I have no guilt about downloading a long out-of-print album, and I've bought quite a few older albums that I never would have thought about otherwise after having heard it first on the net. Anyway, for this post I'm the artist and I'm happy to share my music with you. David Byrne stated in his now infamous interview that album cost almost nothing to record these day, and barring my instrument purchases over the past 13 years, all this album cost to make was well-enjoyed time. I consider my sound to be a probably muddy mix of all the psych groups I review on my blog (with an emphasis on the shoegazers), along with a dose of David Bowie. I suppose the quality of my music is key as to whether I'm supporting or hurting Byrne's statement, but that's for you to decide. If you do like this music and would like to financially support my music making, you're certainly welcome to (but not at all obliged). Go to https://www.paypal.com/ and contribute whatever you want to Radiohead-style to mcomeg@gmail.com. I'd be happy to professionally master the next set of records, have someone make more swank artwork, be able to buy a Moog, or take my wife out to dinner more (well, it can't be ALL about the music). But the bottom line is that I've made this because I enjoy it, and I'd love for you to hear it and hopefully enjoy it too! Generally acknowledged as one of the more obscure krautrock classics, Brainticket was in fact more of an international band anchored by the Swiss organist Joel Vandroogenbroeck. On this debut album, the group set out to document an LSD trip as the Grateful Dead did on Anthem Of The Sun and Ash Ra Tempel would later do on Seven Up. I'm not willing to say that this album quite ranks up with those discs, but once Brainticket gets going about halfway through the first side, it's full of sonic weirdness worth hearing. "Black Sand" and "Places Of Light" lay down the preliminaries. The opening "Black Sand" fares pretty well with some great acid guitar lead, wide open organ and Joel V's vocals (not typing that name again). The rhythm is tense and tightly wound, but it's noteworthy as the basic beat will uncoil and blow wide open for the three eponymous tracks. "Places Of Light" is probably the least of the tracks here gliding on a 70's Pink Floyd sort of spacey groove. There's a touch of jazzy flute, which doesn't really do it for me, and Dawn Muir's acid goddess vocals, which do. The rest of the tracks are all entitled "Brainticket" (part 1, part 1 continued, and part two). Instrumentally the good news here is that the band builds its insane 'found sound' and synthetic experimentations on top of a pretty cool percolating organ, percussion, and funk guitar groove. The band news is they play the repetitive groove for 26 minutes of a 34 minute album. I guess the trick here is to let the groove carry you away as a mantra while you're showered with the totally oddball synth swoops and random sounds. We've also got Dawn Muir sounding as if she's taking the Woodstock brown acid; it's pretty amusing, but it actually kind of scares me too. Cottonwoodhill is a wild album that should invade your ear at least once. There are some truly deranged sounds, but I personally feel like things get a touch too repetitive. I guess I like a little more meat with my aural dinner. That said, an awful lot of people seem to be willing to put this one on a pedestal, so give it a try. 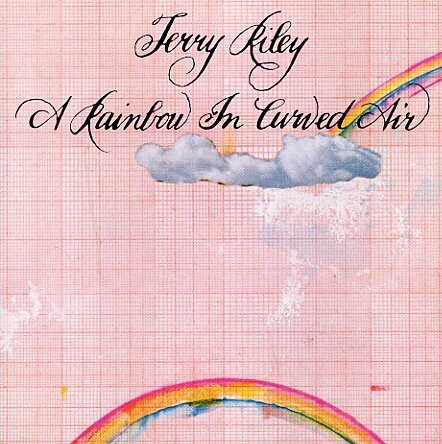 In terms of electronic music, A Rainbow In Curved Air is part of the basic elemental code. In terms of classical music, it's a touchstone of the minimalist movement that Steve Reich and Philip Glass would devote their careers to. In terms of psychedelic music, this is a damn fine album to trance out to. The two sides of this album will lull your brain into a perfect trance. This is music where stopping it before it reaches its completion will make you flinch a little bit - like you suddenly ran out of air. In fact, these repetitive, shifting parts truly are a sort of musical air. 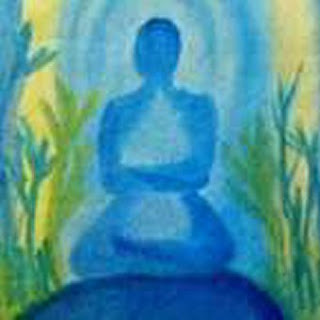 It will create a temporary and colorful headspace for the attentive listener. Each album side consists of a single piece, and the construction of them is similar, with a few simple musical phrases repeating, interacting in different ways, and creating an awesome sonic tapestry. The first side, which gives the LP its title, uses several organs, tape loops, and clicking percussive sounds from early synths to produce a lulling tone. This is one of the first albums to create a serious sonic vocabulary that the electronic music genre would later adopt, in terms of both the krautrock pioneers of the 70's and the more modern dance floor tech heads. It's arguably the first serious electronic album and in stark contrast to the easy listening-infected novelty albums that appeared around this time. 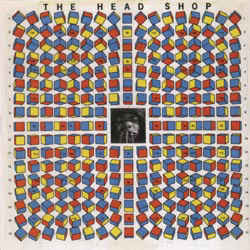 The second side, titled "Poppy Nogood And The Phantom Band,' retains the organ as a backdrop, but adds horns to dance on top of that framework. Although similar in construction, it has a little more of a classically-based sound as opposed to the electronic pulse of side one. If you've got the attention span for this sort of thing, you'll find this to be an album that is both highly influential and extremely listenable. This is pure trance music. Here's a very enjoyable shoegazing EP from the heyday of that particular genre. 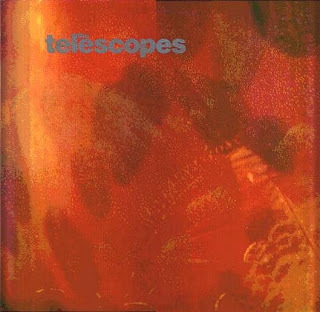 At least here, the Telescopes practiced the more gauzy form of shoegazing that Slowdive went for rather than something like the distorted growl of Ride or the complete mindwarp of My Bloody Valentine. This is music to completely drift away with. There only three tracks present here. The title track is the main feature and is an almost perfect single for the genre with a bouncy bass line and great ethereal boy/girl vocals. The elements of this track are modified for the dance floor for the nine minute long "Celestial." That's not to say it's necessarily a dance track, as there is lots of swirling reverb and trippy dub effects. This helps it to be several cuts above a simple 'remix' status. It's more of an instrumentally oriented epic version of the title track. Sandwiched in between "All A Dream," which I could easily mistake for one of Slowdive's early singles, although the chorus does have a touch of Velvet's style stomp which differentiates it a bit. Of course, this EP came out about the same time as the Slowdive singles, so I'll chalk it up to mutual inspiration. I have to claim pretty much complete ignorance about the rest of the Telescopes discography, but this sweet taste of their music makes me want to hunt down more. To expand your cultural horizons a little bit, we'll look at a French language LP hailing from the prime of psychedelic pop. 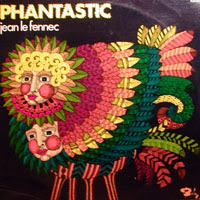 Jean Le Fennec's Phantastic has the virtue of sounding distinctive among the tidal wave of obscure late 60's albums. Here, we get a sound that is certainly accepting the sunnier side of psychedelic pop, and melding it with the vermouth swirling sounds of French pop. Think of Serge Gainsbourg with a nice tall bottle of absinthe. The first three songs here really do give a nice 50/50 combination of these styles and make for a strong opening run. "L'Abandon" really does deserve a prime spot on the more jet-setting editions of Nuggets with it's endlessly echoed vocals and first rate garage fuzz guitar. Firmly staking out his sonic ground on these tracks, Mr. Fennec proceeds to experiment a little more. "Marie Cecile" is our nine minute epic which reaches a little towards the San Francisco sound. It's like Dino Valente's extended acoustic shambles with a few full band interruptions. And like Valente, I'm still on the fence as to whether I like Fennec's voice or not. I guess he does well with the sleazy baritone, but doesn't work so well ouside of that comfort zone. There are some truly strange arrangements here, as "Mes Enfants D'Autre Part" and "Le Chat Et Le Souris" sport some strangely place screeching horns and string respectively. "La Boule Et Le Verre" give us another prime dose of distinctively French psych pop. Make sure to reach the end of the album as "Le Disloque" is another major highlight. It's like swinging out in a totally trash Vegas go-go dancing bar, with French vocals of course. Phantastic may not quite live up to it's name, but it still is a damn fine blast of French-styled psych. 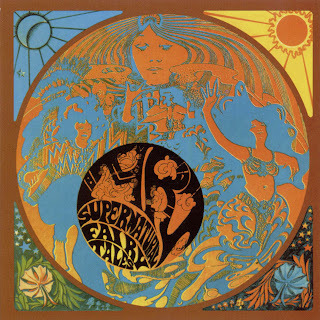 Still, you'll find at least two or three phenomenal tracks on this LP (the first one and the last one for me), and that's more than you can say for a lot of freakish 60's albums rearing their head in the present. This album really does earn the title of one of those psychedelic relics. It seems to be very much of a psych exploitation piece, with likely B-list session players rocking away with some pretty standard grooves. The concept here seems to be with the sounds effects slathered on to each track. It's all pretty entertaining for those who are market for that sound of thing, but it's definitely more of a niche album. This is the sort of thing that makes for groovy background music deep into a decadent hipster party. I suppose the real star of this LP is the sound effects. They wildly streak through the album in a manner that make me recall the Grateful Dead's far better Anthem Of The Sun. Maybe you could look upon this as the low rent version of that album; all the crazy sounds without the songs to back them up. In fact, it seems as if the songs were written around the sound effects. "Birth Of A Nation" features some rather annoying crying baby sounds, while "May The Bird Of Paradise Fly Up Your Flute" has, wait for it... birds sounds and a flute solo. In it's defense it does also have the unadvertised sound of crashing waves. Meanwhile "Dear Mom, Send Money" have plenty of cash register 'ka-ching!' sounds, and "The War For My Mind" wins me over on title alone. 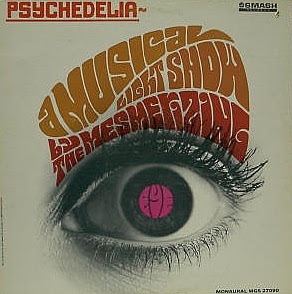 I can't really give The Mesmerizing Eye a proper recommendation, but if you think that you're up for this sort of thing, this lost album should hold your attention for a listen or three. Actually, I'd say the best use for this album would be to display the striking cover as wall art. I'm not going to pretend that I know anything about this band other than what I can glean from the album cover. This three person group seems to be working on the socialist model as all three members provide songwriting, keyboards, percussion, vocals, and recorders. They claim that their M.O. is as a chamber-jazz group, which make a certain amount of sense. With retrospect in hand though, that's not quite what I hear. This strange album to me is the sound of Smile-era Brian Wilson and Van Dyke Parks drifting away into the lysergic ether (that is to say a slightly more produced Smiley Smile, I suppose). In the wall of keyboards are some serious choir-boy vocalizing and the arrangements are like the various sections of a Wilson production disintegrating, creating but an impressionist blur. While this is a very enjoyable album, it's often difficult to focus in on the heavily echoed vocals, pianos, and organs. The album starts off at its most accessible with "Wild Bill Hickock Rides Again," which could pass off for a Smiley Smile outtake by the Beach Boys, but for the vocals which hit a much more nasal, cutting tone than the Wilson brothers do. It's a pretty cool piece, evoking the wild west both with it's subject matter and piano rolls, while psychedelicizing the sound with echo and droning organs. The album then pleasantly clouds up with the sound of multiple electric pianos and choral vocals before reconstituting for the jokey "The Girl From Tarentum." I'm sure the band was going for jazzy, but there must have been too many strange substances hanging aroung the studio. Side two is mostly instrumental, walking a strange line between jazz and classical. This is the Open Window getting a little more pretentious on us. "Italian Symphony" comes across as a more analog, organic version of some of Frank Zappa's early 80's synclavier experiments , while "Piano Concerto No. 1 In G Minor" is basically some disciplined boogie woogie piano with an organ line working its way through the barrage of notes. "The Priest Of The Raven Of Dawn Curtain Call" is a nine minute suite that is completely strange and tripped out. It could cause you to fear for your sanity if you're into that sort of thing. The Open Window is not quite an A-list lost album. It does manage to create a very unique sound though (although Brian Wilson is the best reference point), and is certainly worth your while for that. It's pretty extreme for a group that seems to see themselves as a sunny jazz pop combo. This album is an interesting meeting between scuzzy garage rock and Hollywood-esque orchestration with a touch of sitar and other odd instrumentation. I guess it would be easiest to label this as sunshine pop, but it does tend to be a bit louder and kick up a little more steam than that genre generally implies. Regardless, Another Day, Another Lifetime provides some awesome 1967 vintage West Coast sounds. The band seems to have been primarily the vehicle of one Warren Hansen, who is responsible for the songwriting, production, and the very strong lead vocals. Although the group apparently existed for at least half a decade, this album makes up almost their complete recorded output (there's a single or two also drifting out there somewhere). It's a shame as the 30 minute platter found here does give you a thirst to hear more. Everything here is pretty strong in a groovy, go-go dancin' shindig sort of way. That said, the thick orchestration does add a little more gravity to the sound. In fact, it occasionally threatens to drown out the band on tracks like "Tell Me More" or "Down To You." I guess this is why The David garners a lot of Left Banke comparisons. But in contrast to that seminal sunshine pop, the actual members of the band seem to be trying to grind away more like the Electric Prunes. The highlights here are nicely spread out through the album. As a good album should, the opening title track provides a nice overview of the bands sound, with some amusing sitar breaks adding a little dimension to the song. "I'm Not Alone" gives the band a chance to do their own garage rock stomp without the orchestra getting in the way. I also dig the strange time changes found in the appropriately named "Time M." "Mirrors Of Wood" introduces Hansen's homemade Plasmatar instrument. How could you not love something with that name. Meanwhile, "Of Other Days" gives the disc a almost too happy send off. 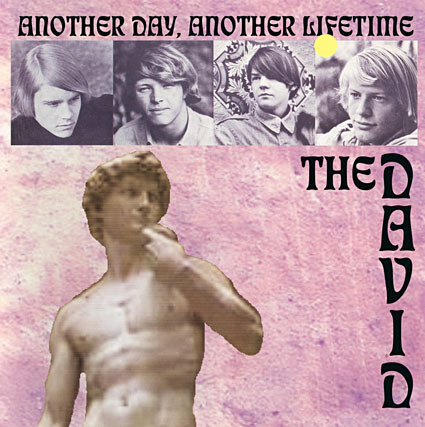 For those with an obsession with the sounds of the Summer Of Love, Another Day, Another Lifetime will provide you with a good 30 minutes of top shelf material to chew over. 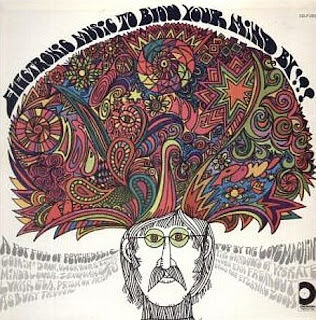 It's certainly an album that begs for rediscovery by the discerning psych-head. Mickey Hart has made a name for himself beyond his percussive presence in the Grateful Dead with a series of worldbeat styled records over the past 30 years. This disc is the start of his headfirst dive into the world of world percussion. Working with tabla player Zakir Hussain, Hart sets out to theoretically pound out some Indian rhythms, but with the wide range of percussion present, we get more of an enjoyable jungle of percussive sound. Most of the tracks here are strictly percussion instrumentals, with vibraphone guiding the melody along. "Sweet Sixteen" opens the album with a dense wall of organic percussion. Even if the melody is not the best, the track never fails to be interesting. Better are the extended tracks "Magnificent Sevens" and "Tal Mala," both of which include more Indian-like patterns, and really give the drum company some nice room to stretch out and do their thing. For the committed Deadhead, Jerry Garcia shows up to provide some signature guitar runs to "Happiness Is Drumming" and "Razooli." I suppose it was nice of him to contribute, his name being much more of a household name at the time than Hart's, but I personally prefer the percussion only aesthetic of the other tracks. Although the Dead connections run rampant, Diga Rhythm Band is a very different creature. It certainly caters to the 'hippy drum circle' crowd, but these are top percussionists at the top of their game, and makes this much more essential listening than the odd smelling fellows in the city park. I'd really put this more in the exotica ballpark along with Martin Denny. This makes for a perfect island sunset album, perhaps with a Tequila Sunrise in hand. 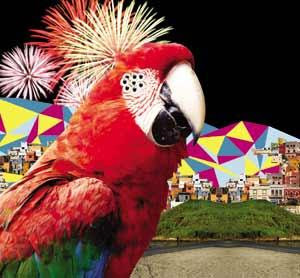 One part of the world that has never had trouble forging its own identity in the wily world of popular music is Brazil. The tropicalia movement of the late 60's was pretty small, but highly influential. A few daring individuals threw together a melting pot of pretty much anything they wanted and the reverberations still continue today. Seriously, if you haven't heard it, this stuff often equals the A-list artists of the United States and Great Britain. The Brazilian musicians even get some extra counterculture points as they worked under the threat of possible execution from the military dictatorship in power at the time. Leading lights Caetano Veloso and Gilberto Gil found themselves in prison and then exile due to their music. The album we're looking at here isn't exactly part of the proper tropicalia movement, but is some glorious fallout from a few years later. The musicians making up the Clube Da Esquina worked in a slightly more chilled out mood, meeting every week or so, drinking beer, talking about the Beatles, and getting a few jams in. This disc documents the wonderful music they ended up with. Mr. Nascimento is the deserving headliner here, contributing plenty of songwriting and the bulk of the vocals. A few years later his start would rise considerably as a proper solo artist, but I'd be willing to say that his best work of a fine career is present here. 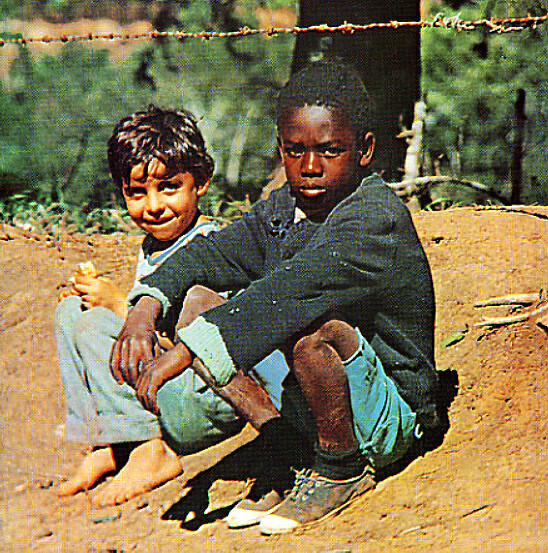 As a sprawling double album, I guess that this is the Brazilian equivalent of a White Album. While Clube Da Esquina does go on a bit longer than may be optimal, I'd be hesitant to choose anything to erase from here. Even scraps like "Saidas E Bandeiras" are relatively well thought out and earn a place here. Of course, the choice tracks are among the best music that I've heard period. "Tudo Que Voce Podia Ser" is an awesome opener with nice building percussion. We'll also fine some immaculate Brazilian percussion on "Cravo E Canela." Some other highlights include "O Trem Azul," which is a paramount example of a drifting cloud of stoned psychedelia. "San Vicente" sounds like "Go Only Knows" for a Brazilian Pet Sounds. I mean this as a high complement. Making it past the hour mark, it's sometimes a little difficult to take this all in at once. Still, the pacing is pretty even, with the slightly more uptempo "Trem De Doido" and "Nada Sera Como Antes" appearing near the end of the album. All the lyrics here are in Portuguese. The word on the street is that the lyrics here succeed in reaching some nice poetic highs and are worthwhile if you can make it out. I don't know a word of the language prsonally, but it sounds damn fine being sung here. Never breaking past the language barrier to popular acclaim abroad, Clube Da Esquina is one of the better albums of the early 70's. Expand your culture and sonic mind with these recordings.